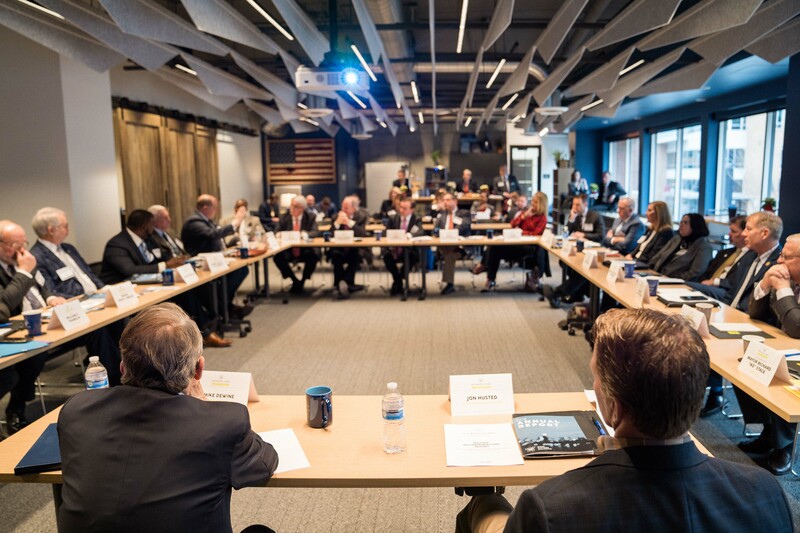 COLUMBUS – The Ohio Mayors Alliance, a bipartisan coalition of mayors in Ohio’s largest cities, met with Governor-elect Mike DeWine and Lt. Governor-elect Jon Husted to discuss the organization’s 2019 policy priorities. 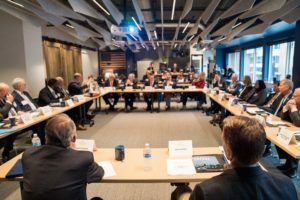 Given that cities are the economic engines of the state, the mayors’ priorities emphasize the state’s support for cities and strengthening local and state partnerships. The mayor’s 2019 policy priorities include: confronting Ohio’s opioid crisis, improved state revenue sharing, strengthening transportation infrastructure, protecting home rule authority for local communities, improving educational opportunities to achieve Ohio’s educational attainment goals, and preparing to complete an accurate count in the 2020 census. The bipartisan Alliance believes that a strong transportation infrastructure is critical to economic opportunities in Ohio, particularly its metropolitan regions. These leaders are on the front lines of the state’s opioid crisis and have experience with what works in their local communities. Another key issue for the mayors is the 2020 census. An accurate count of our state’s population will ensure we receive adequate federal funds and representation in Congress. In addition to approving 2019 policy priorities and meeting with the incoming administration, the Ohio Mayors Alliance also passed a resolution expressing support for the Lordstown Assembly Plant and the impacted Mahoning Valley community. “Ohio Mayors Alliance urges General Motors to find a solution that does not adversely impact the Mahoning Valley; and we offer our full and unconditional support, not only to workers within the Lordstown complex, but to the entire region and all Ohioans affected by the announcement,” the resolution reads, in part. Formed in 2016, the Ohio Mayor Alliance is a bipartisan coalition of mayors from Ohio’s largest cities. The group met in Dublin’s new Bridge Street District development and in addition to meeting with DeWine and Husted the group was briefed on preparing local efforts for the 2020 Census by Rose Simmons, Partnership Coordinator for the U.S. Census Bureau, and how to connect Opportunity Zones with investment opportunities by Rick Jacobs, CEO of Accelerator for America.